You've attended party after party this holiday season, and yah, it IS a season, or for some, it may feel longer than a season, maybe more like two or three seasons. So with all the holiday parties, comes eating - cakes, candies, rich foods and for some, holiday spirits. Now we all know that holiday eating leads to holiday weight gaining, but all is not lost and you don't have to run to the stores to exchange those smaller sized gift clothes for larger ones. Most often, the faster you put on a few unwanted pounds, the faster it will come off. The damage is only temporary and there's hope for a smaller you, or at the very least, the "you" you were, before the holiday season began. Below are 5 easy ways to lose the holiday weight - coming from someone who has tried them all and discovered they worked. And, these tips are all centered around the local community we love so much, Oakley and Brentwood, CA. 1. First, eliminate immediate temptation by taking your leftover desserts and rich foods to your neighbor's house, your friend's house, family members' houses or to a local shelter that accepts food donations. By generously removing the 10,000 calories from your house, you remove the temptation and you remove putting on additional, unwanted weight. There's a funny saying I heard years ago that says, "The best way to lose weight is to fatten up those around you!" Okay, maybe don't share that with your friends, but also make sure you don't donate food to people with dietary restrictions – that would be completely uncool. Now when it comes to heading out to the store to buy good food choices (and I'm fully aware that you might be tempted to buy some more cookies and bad processed foods), my hope is that the thought of stepping out into the cold, fighting the traffic, waiting in line, is enough to make you stay home and look to your fridge for something better. 2. Speaking of convenience - now that you've removed the rich leftover foods from your house, replace it with the good foods such as fresh fruits and vegetables! Or, if you don't want to brave the cold and holiday traffic, call Healthy Gourmet by Chef Dawn Renée in Brentwood, who does all the shopping and cooking for you and prepares healthy meals – between her Kicked Up Cesar Salads, Zoodles with Pesto Sauce and Chicken Kabobs at $10 a meal, with free home delivery to boot, you're sure to lose weight the healthy way. Her contact number is 925.577.8820 and her Facebook page is called Healthy Gourmet by Chef Dawn Renée. I know there's DoorDash and Grubhub and we all know that Dominoes Delivers, but we are talking about losing the holiday weight, not gaining more. 3. Next, get yourself to the gym! There are so many fitness gyms to choose from in our Far East County neighborhood. There's California Fitness at the Oakley Town Center Shopping Center, Diamond Hills, also in Oakley off Neroly Road, Anytime Fitness is in Brentwood off Brentwood Blvd., Delta Valley Health Club off Guthrie Lane in Brentwood, In-Shape Health Clubs both in Brentwood, off Balfour Road and in Antioch off Lone Tree Way. 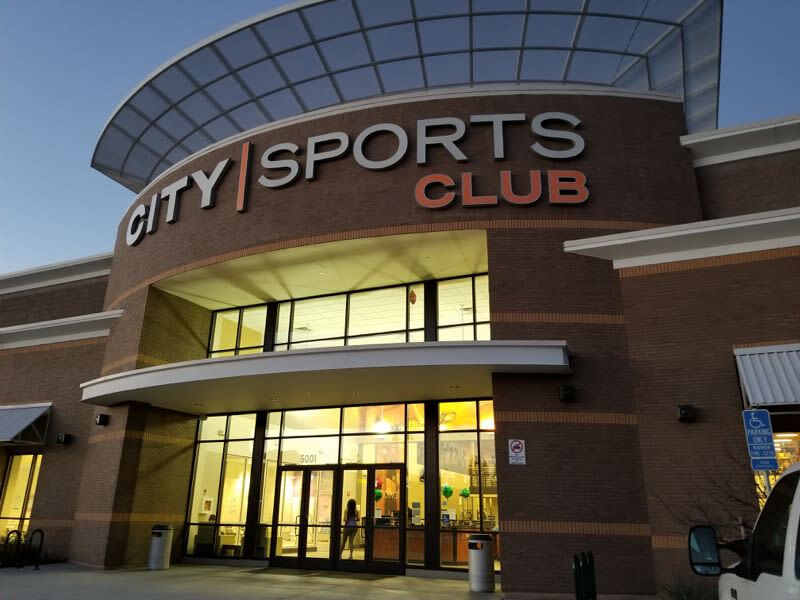 One of the newest gyms in town is City Sports Club, across from Wal-Mart off Lone Tree Way. Even if you are working out one day a week, it's better than not working out at all. 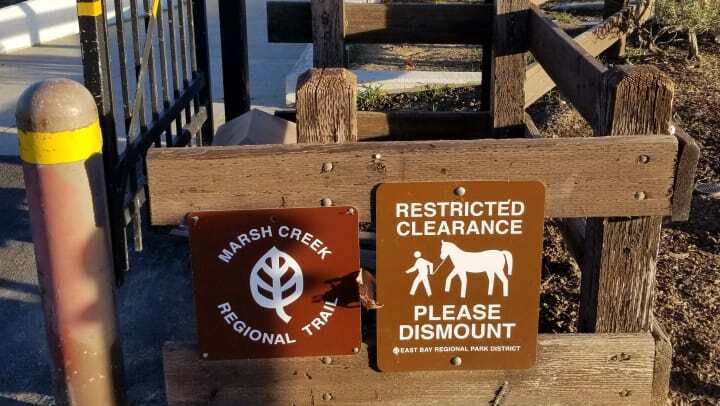 And if the gym and monthly membership dues is not your thing, and sometimes, at least for me, it can be quite intimidating huffing and puffing next to a size -5 person, find yourself a walking partner and walk on the many trails East Contra Costa has to offer. 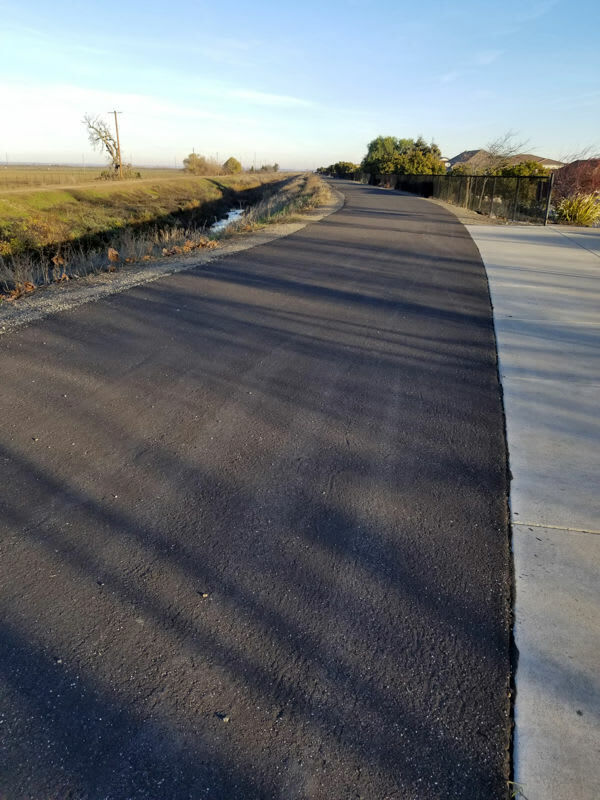 Living on the Delta, we have Delta De Anza Regional Trail, Big Break Regional Shoreline and Marsh Creek Regional Trails – there's one off West Cypress Road in Oakley, directly across from the NEW Cypress Self-Storage that's currently in construction stages (our very facility). To find more trails, simply Google "Oakley Walking Trails," or "Walking Trails in East County." Walking is simple, easy and requires no monthly membership fees. The added bonus is taking in some fresh air, saying hello to wildlife and goodbye to the holiday pounds. And if you want to step it up a bit, you can climb our beautiful hills at Black Diamond Mines in Antioch on Somersville Road; Round Valley Trails off Marsh Creek Road in Brentwood or if you’re a notch above the amateur hiker, you can hike Mt. Diablo in Concord. Bring a safety whistle, plenty of water, small safety kit, a backpack, friends and plenty of determination! 4. Step away from the "white" stuff! If you think about it … most foods that are white, have the worst affect on our bodies in the form of calories, weight gain and after the rush, the let down and drain of energy. White flour (bread, crackers, bagels), white sugar (in desserts, coffee, sodas), white salt (not just table and cooking salt, but in all processed foods), white cream (coffee cream, sour cream, and my personal favorite - alfredo sauce). During the holidays, we tend to consume rich foods that are loaded with sugar and salt, and with that comes the lovely water weight gain. So do your best to go off the "white-grid" for a few weeks, and your body will not only thank you, you will also find that you have more energy to get moving more - to take the stairs instead of the elevator, to walk a little farther from your car to the grocery store, and to skip those mid day naps that make you feel even more tired once you wake up. 5. Finally, write down your goals. The journalist in me is forever writing, and I find that it helps me to write down my goals - not just my weight goal, but other goals as well, such as fitness goals - what do you want to work up to, is it 3-days a week of fitness, maybe 4? Write down your fashion goals - yes - what size clothes do you want to fit into? Always donate to friends, family or donation centers-– your old and too large clothes. That way, you won't be tempted to go back to those big jeans. If you keep your big clothes tucked away in the back of the closest or the bottom of the drawers "just in case," then you are subliminally destined to fit back into those clothes again. Write down your health goals - maybe you want healthier lungs, so you'll want to stop smoking, or a healthier liver, so you'll want to cut back on your alcohol intake. Maybe you want to bring your cholesterol or blood pressure down or stop flirting with pre-diabetes - these all make great health goals. Two quotes come to my mind about goals: "Goals are dreams with deadlines," by Diana Scharf, and "Obstacles are what you see when you take your eye off the goal," unknown author. Without goals, you are reaching for nothing but just air! At Cypress Self Storage, We Are Here For You! At Cypress Self Storage, we cannot wait to serve our local community of Oakley. Currently under construction, we will be Oakley's newest self storage facility. As part of of the Smart Self Storage family, we have over 40 years experience in the self storage industry and cannot wait to exceed your expectations. As a bonus tip, consider self storage as a great way to supplement your active lifestyle in 2019. Consider making your self storage unit a hub for your athletic endeavors. Self storage makes an incredible locker for all your sporting gear. Mkae self storage part of your healthy 2019!